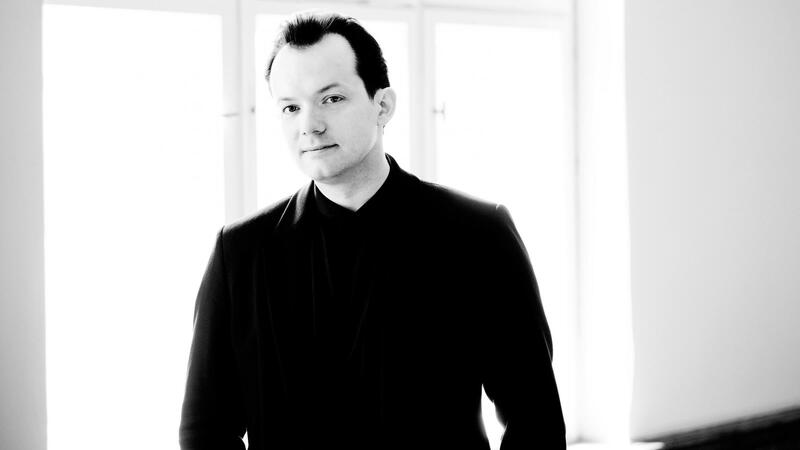 Boston Symphony Orchestra Music Director Andris Nelsons. 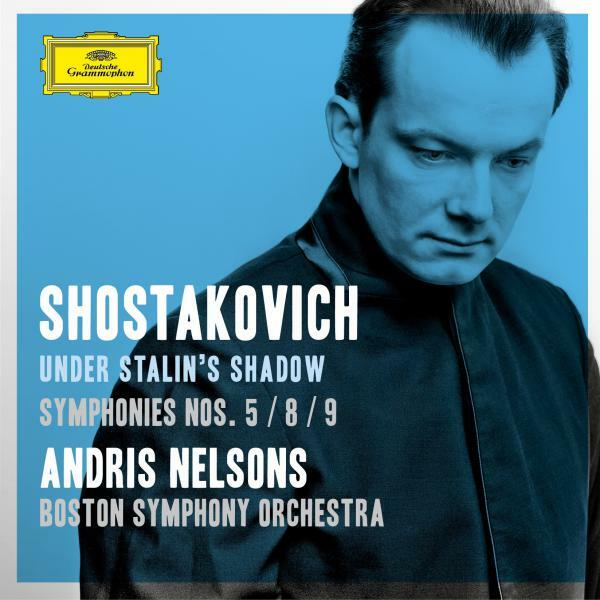 Shostakovich Under Stalin's Shadow: Symphonies Nos. 5, 8 & 9. How to encapsulate the incredible life and times of Dmitri Shostakovich? His story of tragedy and triumph is the stuff of Hollywood political thrillers. Rocketing to stardom at 19, the Soviet Union's leading composer later runs afoul of Stalin and fears for his life until the dictator's death — all while writing music of extraordinary intensity (and occasional insignificance), eventually becoming an enigmatic legend whose motivations continue to puzzle fans and scholars today. If you're new to Shostakovich's 15 symphonies, this new double-disc album is a pretty good starter kit. It contains the Fifth, his most famous symphony, the Ninth, his most approachable and which looks backward toward the classical period of Haydn, and the Eighth, one of his boldest and most unconventional. The set also includes an example of another Shostakovich specialty, writing for films and plays, with a suite of excerpts from a production of Shakespeare's Hamlet. The bonus is that these works are played with insight and panache by the Boston Symphony Orchestra and its music director, Andris Nelsons, who are recording all the Shostakovich symphonies live. The first installment in the series, featuring the Symphony No. 10, was released last fall and won a Grammy. Throughout the 50-minute Symphony No. 5, written just a year after an infamous 1936 Pravda editorial that condemned Shostakovich's music, Nelsons conducts with a storyteller's eye for detail. A passage near the end of the first movement, where out of darkness a flute floats a tender melody over a bed of pulsing strings and a soothing horn, is dramatically poignant. In Nelsons' transparency, the soft pluck of a harp and the ping of a glockenspiel come into focus. Even menacing moments are judged for clarity. A couple minutes into the final movement, listen to silvery trumpets slice through a thicket of frenzied strings and low brass. Nelsons has a way with the BSO woodwinds as well. In the hour-long Eighth Symphony, from 1943, piccolos glare, double reeds converse in intimate asides and English horn player Robert Sheena gets plenty of space to breathe in his plaintive first movement solo. At nearly 27 minutes, the movement itself is as nearly as long as the entire Ninth Symphony. That lopsided balance and a where-are-we-going next feeling are tricks Shostakovich borrowed from Mahler, but there's no doubting that this wartime symphony's blend of sorrow, beauty and nervous energy is unmistakably Shostakovich. Nothing could have prepared Shostakovich's fans and detractors for his next symphony. Instead of a poignant postwar hymn of triumph, the mercurial composer delivered a short, seemingly carefree work dressed in satire with snatches of circus music and hints of black humor. The irony was not lost on Soviet officials. Nelsons takes advantage of the relatively light scoring to let the BSO strings dance and sing while the brass wink and snarl. Shostakovich had a longstanding sense of the theatrical. As a teenager he worked as a pianist for silent films. By the time he died, in 1975, he had scored some four dozen films and plays. He wrote incidental music for a controversial 1932 production of Hamlet; among the excerpts here are a raucous hunt, a surprisingly sparkling funeral march and a tender lullaby for strings.